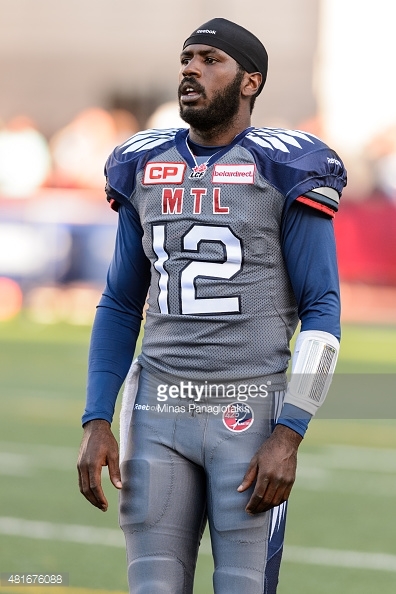 HAMILTON - Football will be a welcome distraction for Rakeem Cato on Friday night. The sophomore quarterback leads the Montreal Alouettes (3-8) into an important meeting with the Hamilton Tiger-Cats (5-6) at Tim Hortons Field. The Als have dropped three straight and stand last in the East Division but are just four points behind second-place Hamilton and Toronto and trail first-place Ottawa (5-4-1) by five points. Cato, 24, made headlines earlier this week when he got into an altercation with receivers Duron Carter and Kenny Stafford during practice. The trio declared a truce but Cato and Carter told reporters Thursday they haven't spoken to each other, a bizarre development between a club's starting quarterback and its top receiver. Cato and Carter were part of a small group of Alouettes players who were horsing around with the football after Thursday's walkthrough. Following the workout, though, Cato divulged that a close friend was shot to death Wednesday in his hometown of Miami. "I lost a great friend ... to gun violence,'' Cato said. "Got shot 15 times. After speaking with a group of reporters, Cato got snippy with another member of the media in a one-on-one interview. 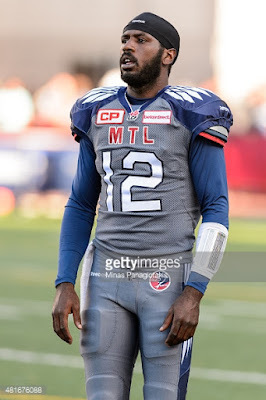 Cato's frame of mind is crucial for the Alouettes considering they dealt veteran quarterback Kevin Glenn to Winnipeg on Sunday. Yet despite the mounting losses and off-field drama, Montreal remains very much alive in the East Division and Popp said his club would get a huge boost from winning this contest. "At the end of the day, whatever business it is, you don't have to like everybody,'' he said. "You don't have to like your boss, you don't have to like your co-workers. The Ticats have their own issues as they're just 2-3 since the return of starter Zach Collaros (knee). Despite the record, Collaros is averaging 362 yards passing with 15 touchdowns and just four interceptions. Hamilton is second overall in scoring (30.3 points per game) but is also leading the league in turnovers (31). The Ticats' defence has forced 27 turnovers (third overall) while Montreal's offence has committed 27 turnovers (third-most) and allowed a CFL-high 35 sacks. But Hamilton has allowed a blocked punt in three straight games so predictably Ticats' head coach Kent Austin is only focusing on his team's issues, not Montreal's. The Ticats beat the Alouettes 31-7 on July 15 in Montreal with Cato at quarterback. Hamilton registered nine sacks in that game but Austin is still wary about Cato's mobility. "He's a pretty elusive player and he can get out of trouble and move the sticks with his feet,'' said Austin. "He can extend plays. Hamilton will have rookie offensive linemen Terrence Campbell and Brandon Revenberg protecting Collaros's blind side. Also, first-year running back Ross Scheuerman replaces injured regular C.J. Gable. "We use the protections that we feel like we need to use to win the football game and expect everybody to play accordingly,'' Austin said.